Many Field Notes fans are familiar with the special edition Nixon notebooks from 2016. It was a good collaboration, and those summery notebooks remain popular. However, all but forgotten are these notebooks that Nixon released a year earlier, in 2015. Although 2015 was a peak year for Field Notes collectors, the 2015 Nixon notebooks just never seemed to be highly sought after. Each pack contains three notebooks. The first is a turquoise/gray book, which is far and away the most eye-catching one in the pack, though it contains plain inner-paper. The second is a dark brown book with ruled paper. And the third book looks very similar to the standard grid-ruled, Kraft Field Notes notebook, though it has dark-brown printing on the inner cover. These notebooks use 100# cover stock, 50# paper, and light-brown ink for the ruling. 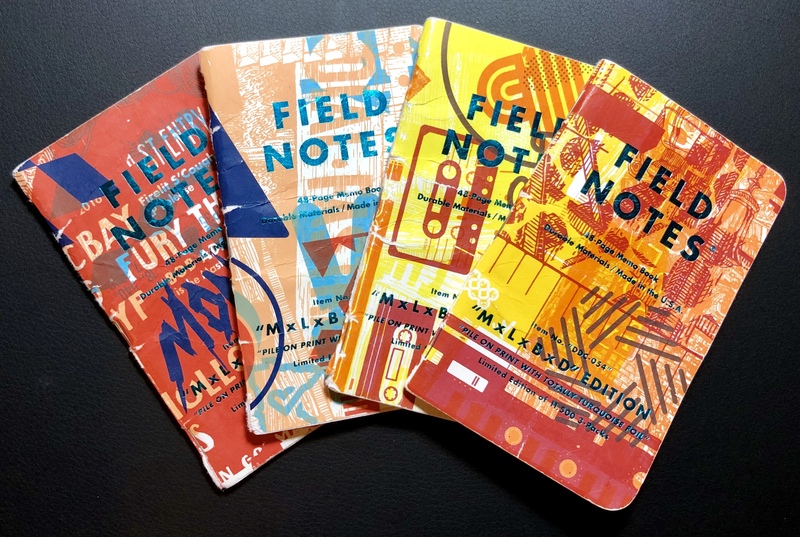 The 2015 Nixon Field Notes books have long been sold out, but I don’t personally consider it too much of a loss. I find the books a little to plain, to be honest. 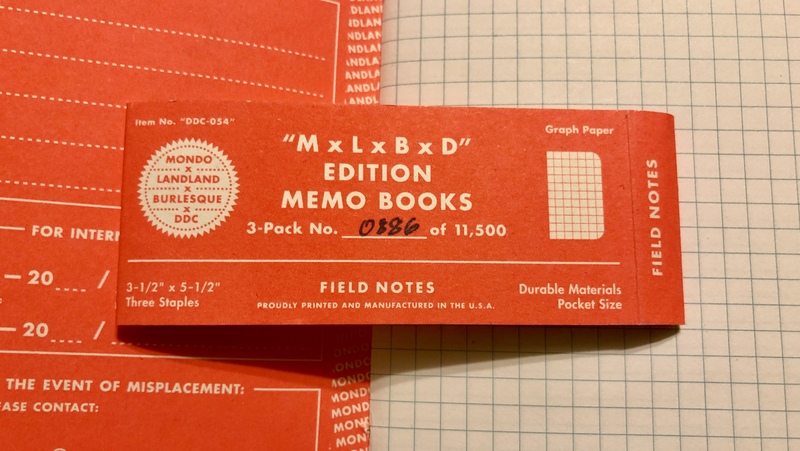 But if anyone ever decides to release 3-pack of those turquoise books, it’d be an easy impulse purchase for me (just as long as it’s made with graph paper). 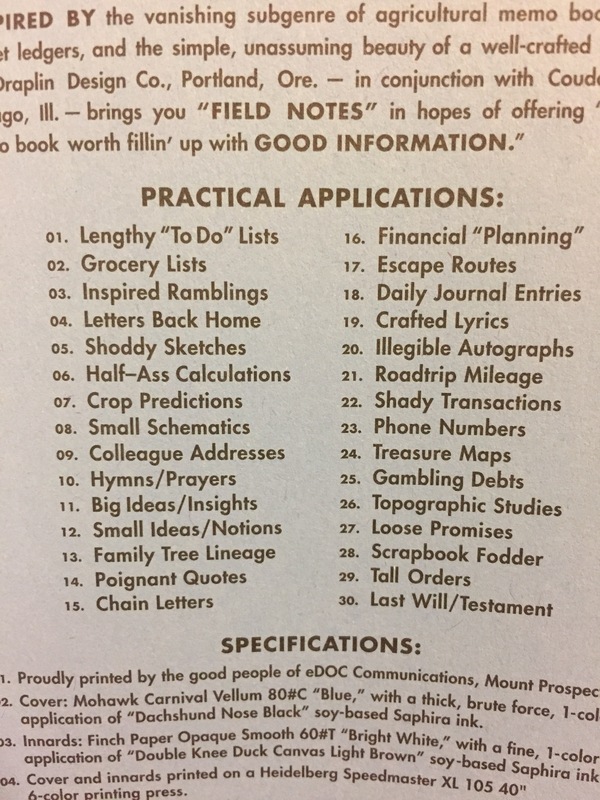 The 2015 and 2016 Nixon Field Notes share the same “practical applications” list. A little boring, I know. 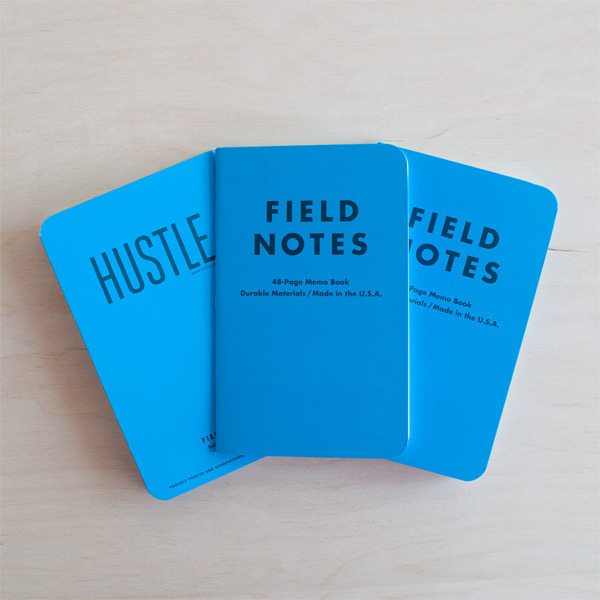 Back in 2011, there was a different special edition of Field Notes that used turquoise covers (with a company called Tattly). But besides being long sold-out, I’m pretty sure they had blank inner paper too. Did I mention that the 2016 Field Notes are still in stock? Field Notes and Carhartt are a lot alike; Both companies are headquartered in the Midwest. Both companies appeal strongly to the blue-collar and the hipster demographics. And both companies exude pride that their products are manufactured in the U.S.A. It was only a matter of time before the notebook company and the apparel company got together to create a custom set of Field Notes pocket notebooks. Each pack contains three 3.5” x 5.5” notebooks, and each has its own theme. There’s the orange book for hunting, the green book for camping, and the blue book for fishing. 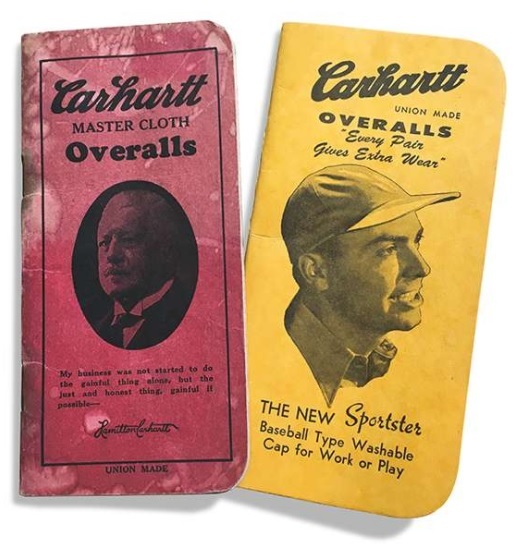 The covers feature a slick two-tone version of the Carhartt logo (a zoomed-in curlicue “C”), and the back cover tells a short history of the Carhartt company, as well as some general tips for using Field Notes notebooks. These notebooks use 100# cover stock and 60# white inner-paper with a brown, lined ruling. In concept, these books seem very similar to the Campfire Edition, though the Carhartt Field Notes seem much simpler overall. And, honestly, I prefer this simpler look. It’s a clean cover design, yet it still pops, and the graphics on the back feel very 1950s retro. As long as you’re okay using lined paper – I know, I wish they used graph paper too – I definitely recommend grabbing a pack. Most of the time these Field Notes editions are long sold out by the time I write about them, but luckily, these Carhartt books are still available on their website. It’s like a Christmas mini-miracle. Carhartt used to make old-school “field notes” notebooks, apparently. You know who likes lined ruling? Leadfast does. 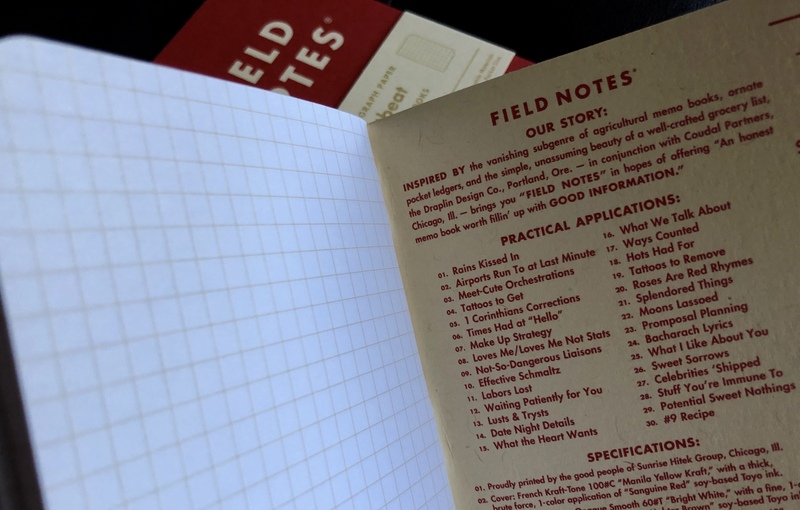 Check out the review of Carhartt Field Notes over there. On one random Wednesday – July 26, 2017 to be exact – the Field Notes blog announced a “buy anything and get a special ‘Blue Wednesday’ 2-Pack free” promotion. There was no rigmarole or hurdles. It was just, buy something on this particular day and a special edition 2-pack of pocket notebooks will be thrown in with your order. It’s things like this that make me really like the Field Notes brand. So, I went ahead an ordered a steno book, partially because I needed one and partially because I wanted to get my hands on this Wednesday edition. Aside from their 80# blue covers, these books don’t hold anything out of the ordinary. The innards are exactly the same as the standard Kraft edition; 60# white paper with a brown, graph ruling. Even the “practical application” list is standard. However, as an extra freebie item, it’s impossible to complain. And I’m sure it was a pretty awesome surprise to those people who just happened to place an order that day, unaware of the promotion. Please, if you want to get your hands on a set of these notebooks, don’t pay a premium price for them on eBay. They are super-fun as a bonus item, but not worth purchasing when there are plenty of other great editions still out there. Besides, I’ve heard rumors that this wont be the last time we’ll be seeing the Wednesday edition. 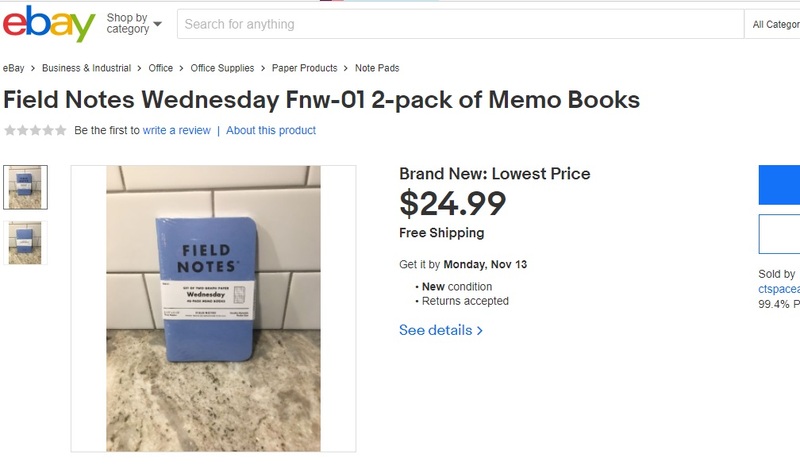 Field Notes had previously done a similar “Wednesday” promotion, but that time the company gave you a Pitch Black 3-pack (a stock edition). Worth checking out: Blue Wednesday Color Comparison at Three Staples.